Rwanda is a small country with one of the highest population densities in Africa (USAID, 2013). It is also one of the poorest countries, but it has made significant progress since the 1994 genocide that killed nearly 800,000 people (USAID, 2013). Poverty has dropped from 56.7 percent in 2006 to 44.9 percent in 2011, a developmental trend worth celebrating (USAID, 2013). Still, Rwanda’s poorest are often excluded from formal financial institutions and basic financial services because of fees and geographic barriers. Less than half of the population is formally banked. Lack of access to savings makes these people more vulnerable to economic shocks and it prevents personal investment for future development. 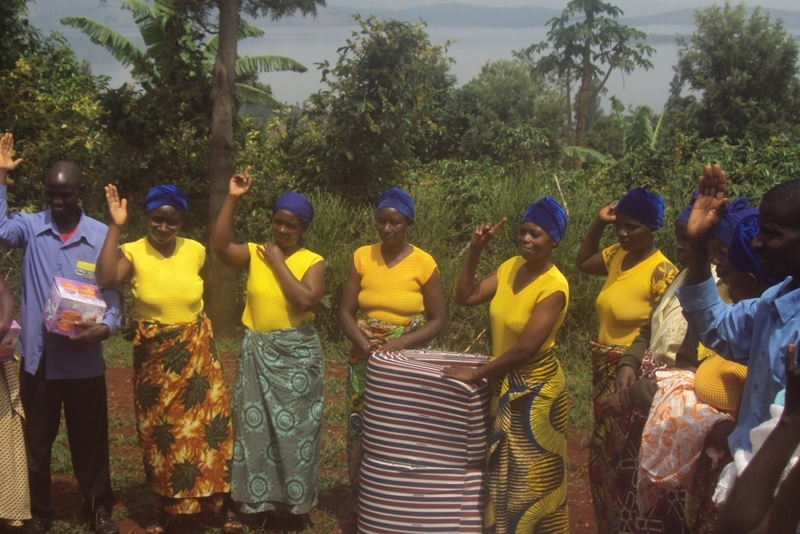 Local churches in Rwanda are well-positioned to address poverty in their communities. They typically respond by providing food and money to the poor, a well-meaning effort that fails to address root causes of poverty. Often, these churches lack the skills and tools to be agents of transformational development, a holistic approach to poverty that involves sustainable changes in attitudes and behaviors. World Relief is responding by empowering the local church to deliver basic financial services and education to Rwanda’s poorest through the Savings for Life™ program, which makes access to savings and loans possible for the most poor and vulnerable. World Relief trains church volunteers who, in turn, train savings and credit groups in the communities. Special emphasis is placed on savings mobilization methods, Biblical stewardship, financial integrity, overcoming poverty, effective asset use and group government and management. The impact of Savings for Life™ extends beyond economic empowerment as Savings Group members discover that they already have the resources necessary to advance their lives and those of their children. The community becomes more resilient as members help each other set aside money for emergencies. When World Relief concludes its work, these self-sustaining groups continue to meet and holistically transform the lives of members. Groups provide an opportunity for people to work together for a common financial goal and serve as a safe place of social support. World Relief has been implementing Savings for Life in Rwanda since 2010. There are currently 682 groups and 14,535 members across four districts. Courtney O’Connell is World Relief’s Senior Technical Advisor for the Savings for Life program. She will be speaking at the University of New Hampshire’s Carsey Institute of Sustainable Microenterprise Development Program in a class titled “Savings Groups Post-Project: Evolution, Sustainability, Enrichment” Nov. 18-22, 2013 in Arusha, Tanzania. The following interview was conducted on Oct. 28, 2013. Courtney, what is your history with transformational development, World Relief, and as Senior Technical Advisor for the Savings for Life program? In which countries is this program currently being implemented? C: We started our Savings for Life (SFL) program in Burundi in 2008, then expanded to Kenya and Rwanda in 2008 then to Malawi (2011), Congo (2012) and South Sudan (2013). To date, do you know the total amount of Savings Groups and members? C: Currently we have 104,857 members across all 6 countries. Why does Savings for Life and the Savings Group model work so well? In other words, what about this model is different from other existing financial services and institutions offered either by countries or other NGOs? C: The essence of the SFL program is this: groups of 10-25 community members come together and save their own money, use that common pool to make loans to each other charging an agreed upon interest rate. Then, after about 9 months, the members get back all the money they saved plus their share of the interest, or profit, the group made. This money that they’ve accumulated, generally $75-140, is usually the most amount of money these community members have ever had in their hands. And, it’s all theirs! The empowerment they take from this method is remarkable. Members are able to put children in school, buy health insurance for the very first time, invest in a business, or make tangible improvements on their homes. It’s such a huge change in a relatively short time. Our approach is different from most other NGOs who do savings programs. First, we strive to deliver a high quality, technically sound savings program. It improves upon the indigenous forms of savings that have been present in rural communities for generations and generations. Most importantly, however, World Relief is working in and through the local church. Our desire is to see the church own this program and, towards that end, have volunteers from the church that help to form and train new savings groups. Groups pray with each other and support each other in times of need. We also have a Bible Study the groups can do to supplement their savings activities. In all these ways we’re trying to address the spiritual and the financial lives of the members. Can you share a recent story from the Savings for Life program in Rwanda? C: In the Nayamasheke district, Savings for Life empowered the Tuzamurane Savings Group (below) with the ability to address other areas of need in their lives. The members identified that each one needed a mattress at their house, as some were still sleeping on dirt floors. So they took turns buying mattresses from their collective savings until everyone had one. They were so proud of what they did, they bought matching ‘uniforms’ so that the entire community would know that they were empowered and could do fantastic things!